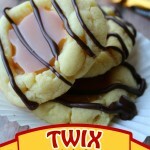 If you’re anything like me, you’ve been whipping up and eating cookies, candies, and sweet treats since Thanksgiving. I have a major sweet tooth and love all the goodies, but I’m a basketcase if I don’t get enough protein and my kids are too! 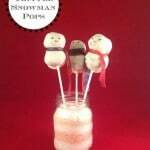 These Hardboiled Egg Snowmen are a fun treat and they’re full of protein. 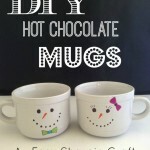 You’ll also need toothpicks and wooden skewers. 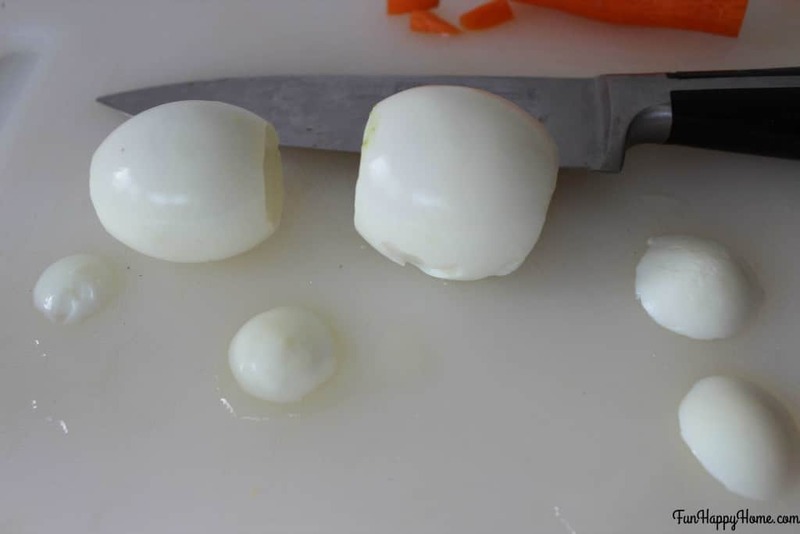 Cut a small section off the top and bottom of each egg so they’ll stand and stack well. 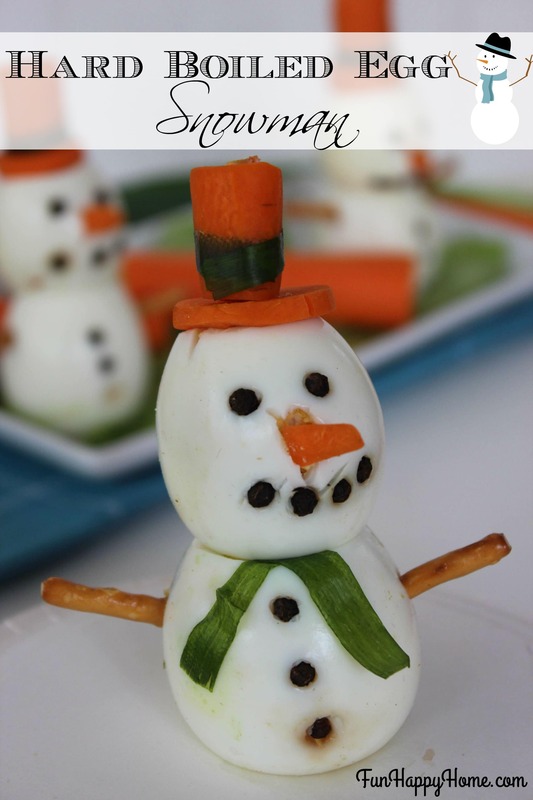 If you are going to serve your snowmen right away, you can use pretzel sticks to join each piece. 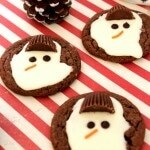 This will make your snowmen completely edible. If your snacks will need to sit for a while, the pretzels will get soggy and nasty, so you’ll have to use wooden skewers. 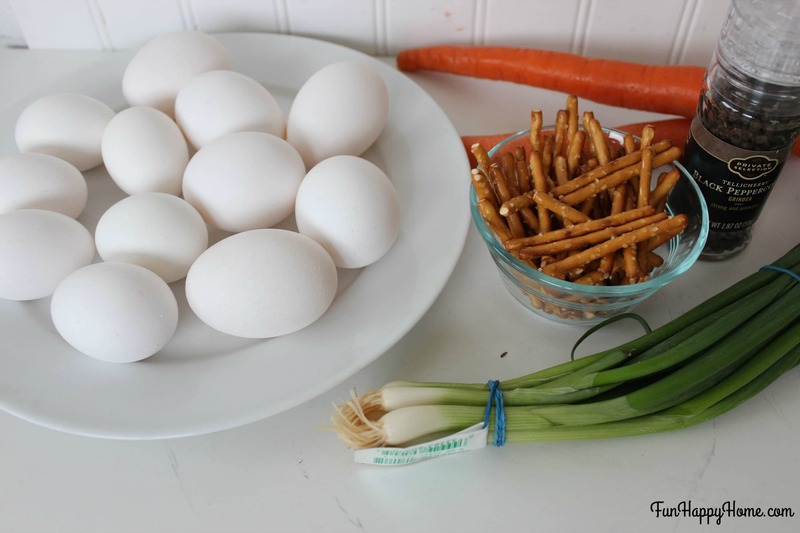 Either way, you’ll need to pierce the egg and carrot before pushing pretzels through. Push a pretzel stick down into the jumbo egg to make the body and place the smaller egg on top. 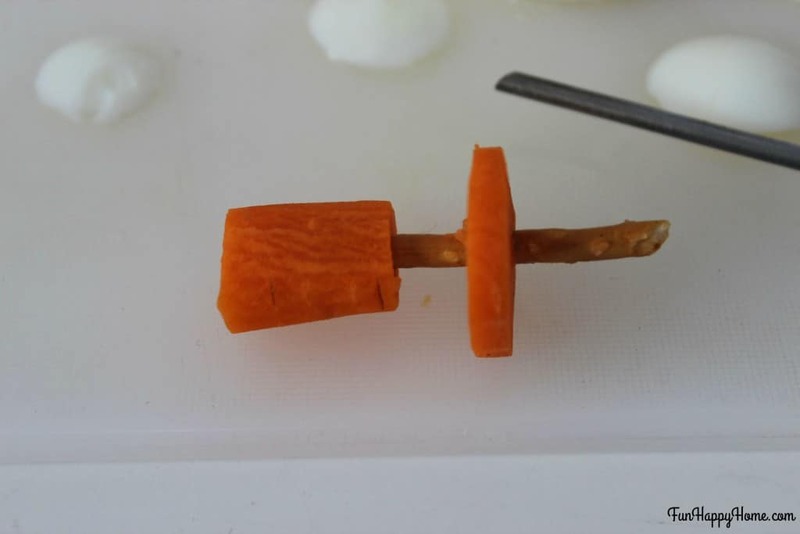 Use skewer to “pre-drill” hole in carrots. You will use your pretzel to connect the carrots and egg heads. Take the small end of a carrot (about 1/2″) and cut lenghtwise into six sections to use as noses. 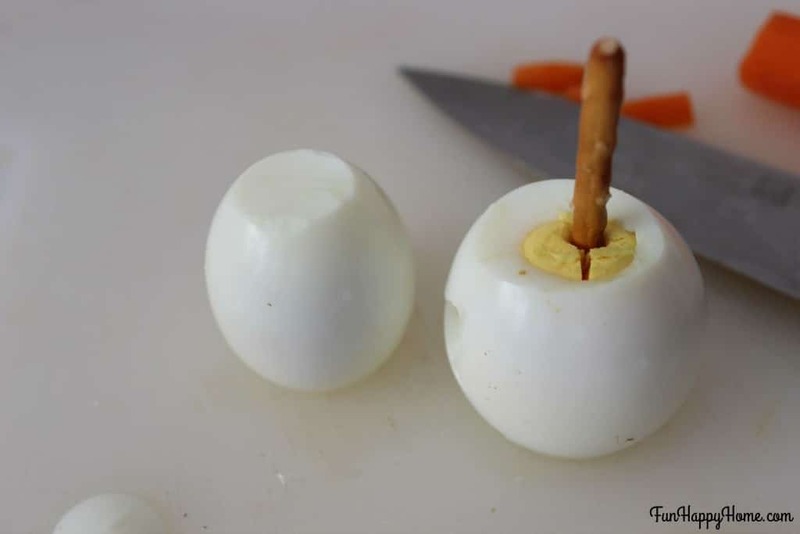 Using a toothpick, poke a small hole in the middle of the “face” egg and insert the nose. Poke holes for the two eyes and four spots to make a mouth and press in peppercorns. Poke three small holes in the “body” egg to make buttons and press in peppercorns.